What is reddit's opinion of Nova Launcher? Heyyy guys I want to recommend a new app from this unknown indie dev, it's called Nova Launcher and even though it doesn't have a lot of customizations and optimizations like Go Launcher I really like it so you might want to try it out! Launch Nova Launcher go to Desktop and set the Desktop Grid to 7x5 and allow Enable Widget Overlap, as well as disabling the Dock and Notification Tray. Launch PipDroid and choose the color to install. Exit the app. Press and hold on your home screen and select Widgets. Add any size UCCW widget. From the UCCW menu select PipDroid [Color]. Resize the UCCW widget to fit at the bottom of your screen. If you have any questions just reply to this or message me! Get nova launcher. From there you can long press the icons and click edit. You can change the icon. For this I am guessing he's using Mini icon pack!! Launch Nova Launcher and set the Desktop Grid to 7x5, as well as disabling the Dock and Notification Tray. Launch PipDroid and choose the color to install. From the UCCW menu select PipDroid Color. Get a custom launcher, Nova the free version works just as well (albeit less customization). If you don't want to get used to a whole other experience, or just want to stay on stock Android and change one icon, Awesome icons is your friend. With a launcher like Nova Launcher, there is an option under the Desktop category, under advance, to lock the screen which prevents any movement/deletion of apps. You could also set to lock the desktop with a gesture, such as a clockwise rotating two fingers to toggle it on and off. Nova Launcher is easily one of the best apps for Android, it allows for a wealth of customization to your launcher and can make your phone feel like a new device. I'd actually recommend you get Nova Launcher, it allows you to rename apps, but you can also change the icon, install icon packs, change the layout of your home screen including how many rows and columns of apps you have. You can eventually do stuff like this where each of those icons are actually folders. Mine is a little cluttered because I like it like this, but you can do pretty much anything you want. Plus Nova is quicker than the default touchwiz on Samsung phones. EDIT: Added a link to the launcher. I think that's just the launcher you're using, it'll probably disappear if you install something else. Nova launcher is a good one. Aside from being lightweight and feature rich, it is well supported by the developer and a crowd favorite for many years. An android for really tech unfriendly people is the best by a long shot. If it's set up by someone who knows what they're doing and knows the person. You can use launchers like these to really simplify things for them. Make iPhones and windows phones look like spaceships in comparison. Ideally you use a highly customisable launcher like Nova Launcher, hide everything they won't use and show everything they will use. You can customize so much. So say they only ever call the same 3 people. Instead of the dialler or contacts. Set 3 icons on the homepage that instantly call these 3 people and set the icons with the persons face. Stuff like that. Android tablets can be very cheap aswell because honestly what's the point on spending big bucks on a brand new Samsung Galaxy Tab or whatever. Alter vadda! Ich fand das Video qualitativ so genial, richtig gut gemacht Sep. Du kannst wirklich stolz auf dich sein! :) Ich hab hier vor einiger Zeit mal die Videos von MKBHD empfohlen und tada - schon gibts ein Handyreview! Vielleicht hast du das ja sogar gesehen und dich daran orientiert, wenn nicht, trotzdem super. So kannst du dir beispielsweise Icon Packs runterladen mit denen du jedes Icon individuell anpassen kannst. Außerdem gibt es noch unzählige weitere Anpassungsmöglichkeiten (Gestensteuerung, alternative Animationen, Entfernen der Untertitel bei den Apps usw. ), die sonst mit dem Standard TouchWiz Launcher nicht möglich wären. Schaus dir an, ich finde da fängt der Spaß mit Android erst an. Edit: Das Video ist mal wieder ein Beweis dafür, dass ein Großteil der Dislikes vollkommen unbegründet ist und einfach nur gedisliket wird, weil man Sep nicht mag. Also Sep, nimm dir die Dislikes nicht zu Herzen, das Video ist vor allem qualitativ eines der besten Videos bei PietSmiet. There is a free and paid version. You need a Launcher like Nova Launcher to install it. It replaces your app icons and has wallpapers that you can apply. The full versions have an animated live wallpaper. The default launcher doesn't support that. You can use Nova Launcher with TeslaUnread to get what you want. Almost all of them do, but I recommend Nova Launcher. Also, it starts out pretty clean and simple like stock android so that's also easy for them to figure out. My S6 is just a dream, never had a better phone. Got it rooted, added a custom home screen framework (&quot;Nova&quot;, learn it, love it, use it), and a Otterbox Defender shell, which is slimmer and nicer than ever. Thanks for the plug! You can also use a launcher such as Nova Launcher. I'll be updating that album with Fjorm's new art after tonight's app update. You need a custom launcher to do that (as well as a lot of other things, like changing the grid layout of your home screen). I'm not sure if something like Nova Launcher will allow for this on stock Android. As for myself when I'm looking at the quick toggles there is one there to lock into portrait/allow for auto-rotate. Silent mode is a point of contention in Lollipop, if you press your volume button you'll get options for None, Priority and All. None is essentially silent mode but it will mean your alarm won't notify you. Nova Launcher (among others) have a lot of customisations for your home screen and also the app drawer, definitely check it out. Play Store Link! Don't think so but if I'm in the pull down menu looking at notifications then that's what I'm focused on, personally never considered what the other part of the screen looks like when I'm dealing with the notification shade. Make sure in the Google Play store settings you've selected auto update by WiFi only (though I'm sure you already have). Personally I've never had that same issue you did. I too have hit update on an app only to see it is a large update and have hit stop. From my experience what happened to you is not normal. I don't use DoublTwist personally so I can't help with those points I'm afraid, though I'm pretty sure DoubleTwist have a desktop client, perhaps that would help? I can say that Google Play Music both on the web and on the device I've had an easy time making playlists there. Apart from pressing the menu button in the top right corner and hitting the forward button there, I'm afraid not. Gestures like swiping left and right for forward and back would be nice in Chrome imo. I'm not that great at explaining how to set things up. But there are subreddit for kwgt and Nova launcher. Prime is worth every penny. 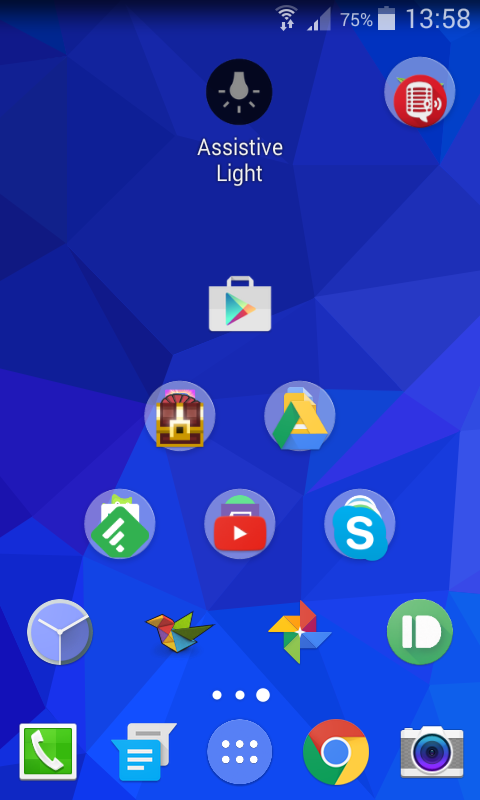 If I'm not mistaken, most of the standalone Icon Packs that're on google play are for alternate launchers such as Nova, which is an entire different level of customization. It's been fairly popular with Samsung users because very few people liked touchwiz, which is/was Samsungs default launcher. Galaxy gets my vote, and if you do I recommend downloading the Nova Launcher for a different look/feel. It also lets you get cool icon packs which change how your app shortcuts look, I downloaded the long shadow icon pack. That's a built-in feature of the Google Now Launcher. Unfortunately, the Google Now Launcher has very few customization options, so your only option to get the search bar removed is to use a third party launcher app. Most third party launchers allow addition/removal of the persistent search bar (which is what all launchers call the search bar you're referring to). Personally, I can't recommend Nova Launcher enough, but it does come at the cost that the left-most screen being a Google Now shortcut is lost. You could still swipe up from the Home button on the navication bar to reach it while using any other launcher, though. Check out Nova Launcher if you haven't, it's the best launcher out there. Also look out for their sale, where they offer their paid license at a a heavy discount, I got mine for only ₹10. Nova is a free Launcher btw. Years ago I tested about a dozen launchers, and chose Nova Launcher. (And yes, I chose it by my own, even before I started reading reddit.) The main features were the grid customization, the folder support in the drawer, showing folders in the homescreen (with contents synced with drawer folders), and locking the homescreen to prevent accidental changes. You will need a custom launcher of some sort. I highly recommend Nova Launcher. Yeah, Nova launcher is awesome. It's also in the summer sale at the moment, so if you want the extra prime features it's really cheap just now. Nova laucher : [link] Flatty Icon Pack : [link] However the Icon pack is old and was last updated in 2015, but it can automaticly crop Icons into hexagons. You can't remove them. However you can use a third party launcher, such as Nova launcher or Lawnchair launcher . Have you tried Nova Launcher? Or perhaps even the Google Now launcher? Personally I find Nova is the best option available, giving you plenty of control and customization options. If you're on Android, some devices can change it by default, or you could use an app like Nova Launcher (what I use on my S7) or Icon Changer. If you're on iOS, I'm not sure if there is a way to change icons. I didn't found anything from settings, but with Nova Laucher you can do that. If you download Nova, go to Nova Settings -> App & widget drawers -> Background. Na chłopski rozum interf.sys powinien odpowiadać za jakieś elementy interface'u, ale Internet jakoś tak niejasno opisuje co i jak. Przestaw się na niego, popracuj na nim i obadaj czy ci błąd znowu wyskoczy. Yeah, you can't. This was why the very first thing I did was go with other suggestions in this sub of replacing FoxHole (your new launcher) with Nova. It has the added advantage of getting rid of Zen, the "news" feed thingy. You could try Wanam Xposed. Have you also tried using a different launcher such Nova or Themer? Sure. I'm just using Nova Launcher (Prime) and Flight icons. The wallpaper comes with Flight icons too. Are you using a Oneplus One btw? Launchers are really simple. The one I use and recommend is Nova Launcher. Launchers aren't anything to worry about as far as security and performance goes. One of the great things about Android is that if you don't like how your home screen looks, you can change it. You can change how things look and function on the home screen really easily. I suggest playing around with a launcher and seeing how you like it. What you need is a new home app, called a launcher in the play store. Most of them are free apps, but you'll have to pay to get the premium features etc. Try Nova Launcher - the access permissions are much more reasonable. I can count on one hand the number of apps that have impressed me enough to actually pay for the premium version, and Nova Launcher Prime is one of them. Have you tried Nova Launcher ? You change change icon size easily and a bunch of other stuff. I think it's the most popular launcher out there. Regarding the octopus: based on some light googling, it looks like an annoying non-feature that Alcatel added to Joy Launcher, which is default launcher/home screen. Doesn't seem like anyone's figured out how to get rid of it, so your best option is to install another launcher, basically bypassing Joy Launcher entirely. The most commonly recommended one is Nova Launcher; it can usually import your home screen layout from your previous launcher and is pretty simple to use. I use a launcher called Nova (The payed version) and an icon pack called Retrorika. That combined with hours of trial and error of what looks good. You can download a different launcher. I personally use Nova Launcher, the appearance can remain pretty much identical to the Google launcher, but it brings a hell of a lot more customization, including removing the search bar. For your first question, replacing your launcher with Nova and adding the Tesla plug in will do the trick. I use the custom launcher Nova Launcher with the retro icon pack. It allows for great customization. This is on an Android device as well. Yep you need a launcher. I recommend Nova Launcher. It's not something you can do out of the box, but Nova Launcher combined with TeslaUnread will give you that functionality. Nova Launcher for customizing your homescreen. Also includes Prime version for $5 to unlock extra features. For icon packs, I choose something like Minty Icons Free. Nova launcher blends good performance with lots of customisation. It's Android [ Note 4 ] using NovaLauncher with Vopor icon pack. There is a wide variety depending on preference. Nova Launcher is by far the most popular. Or install Nova and customize things as you wish. You can set different icon packs, control whether or not you have the bottom swipe for apps (which is awesome), and a bunch of other features. Yeah if you swipe down from the right of the status bar it will bring up settings, not notifications. Swipe down a but further to the left to bring down just notifications. 1. )That's the link to Nova Launcher on the Play Store. You can also find various icon packs in the Play Store. Play around with Nova Launcher until you get everything the way you want it. You don't need to root your phone. You don't need to install anything harmful. Most people on this subreddit use Nova Launcher. Next you'll need an icon pack. A good icon pack and some widgets will really help you change the look and feel of your phone. It has to be supported by the Launcher app that is used by your homescreen. The default Google Now launcher does not support icon changing. Nova Launcher is a pretty popular (if not THE most popular?) choice for a Launcher replacement app. I don't have a Samsung phone so I'm not sure, but you might have to use a third party launcher. I recommend Nova for customization or Evie for fluidity and simplicity. For removing apps you need root. Samsung phones have relatively more bloatware. Only way is to disable them in Settings>Apps. And about the badge thing, you can install third party launchers like Nova Launcher or Action Launcher. I use Nova Launcher, it's great. It is paid though. It correctly shows badges for me, But I have disabled the badges because I don't like it. Also you can hide the apps you don't want in the app drawer through these launchers. I am not a fan of EMUI, so I downloaded Nova launcher along with the Pixel Icon Package to emulate the look of the 6p/pixel. If you go to the download page of the pixel icon package, the developer provides a tutorial on how to modify the app/widget drawer and dock to accomplish the pixel look. You could use an alternative launcher (eX Nova Launcher) for custom homescreen gestures. I, for example, have a double tap anywhere on the home screen to activate Google Search. You can do the same thing for Google Assistant. I do not know if it's currently possible without any third party software. Ah, yep that's definitely TouchWiz at work - it's not stock Nougat behavior. Have you tried switching to a different homescreen app, like Nova Launcher? If you're still getting the overlays you can also install an icon pack, such as Moonshine. I'd also pick gestures as being one of the best features. For instance, I have my GPS apps in a single "bubble". You can touch it and it expands, showing all 5 apps. However, I have it set to run Waze if there's a finger slide. You can also configure tricks like turning on the LED if you slide two fingers down, can have more icons at a bottom dock, etc. Little tweaks in functionality here and there, plus it is stable and fast (especially if you disable animations). Nova Launcher is actually one of the very few apps I bought, along with Tasker. I have to see what Samsung added in the Note 7, but unless it's very functional, I'll probably continue using Nova. Okay, so you know on your homescreen there's pages and stuff? The launcher is what manages that. Your phone comes with one but you can change to another. It's easier to understand by trying others. Try downloading Nova Launcher (you can always switch back). I use that one because it's very customizable. For example I have pages on my dock. Edit: I'm having trouble explaining so please ask followup questions and I can probably help more. This was made using nova launcher, and this is the wallpaper used. Scroll down to "System UI"
Select 'Show hours, minutes and seconds'. There might be an easier way to do it, but this is how I got the seconds back. First thing that you need to do is install a launcher. Check out Nova Launcher, it's one of the best launchers and the free version has everything that you need. Your launcher is the app that your phone opens when you hit the home button (it's your homescreen). Once you install the launcher, open up Min and go to the Apply section in the drawer. From there click on Nova Launcher and you should be set. Check out /r/androidthemes to learn more! I'm using Nova Launcher which is seriously the best launcher available on Android. And the icon pack is Retrorika. This is a feature of the Google Now launcher. It was implemented for Marshmallow. You can use an alternative launcher to get rid of it. My personal favorite is Nova Launcher. Some people use third-party launchers like Nova that support icon packs. If you use a custom ROM like Cyanogenmod (or any ROM with Xposed + Unicon installed) you can install icon packs which replace icons system-wide. For what it's worth, Samsung modifies Android so heavily it's probably more accurate to say the device's OS is Android-inspired. They offer Android in the same way Taco Bell offers Mexican food. Try a Pixel - the experience is completely different (and 1000% better in my opinion). Or you could just tweak things to the way you want it with something like Nova Launcher. Nova Launcher is a very customizable Android launcher. It can completely change the look and feel of your Android device. It's default settings make your Android phone resemble a stock Android device. Bear in mind this does not change the look and feel of the system that is the status bar icons, the settings app and the system apps such as the browser. You can also change the look of the icons using various icon packs that are available on the Play Store. Welcome to the world of Android! It might seem daunting at first, but it's really not. The great thing about Android is the unlimited possibilites thanks to third party apps. 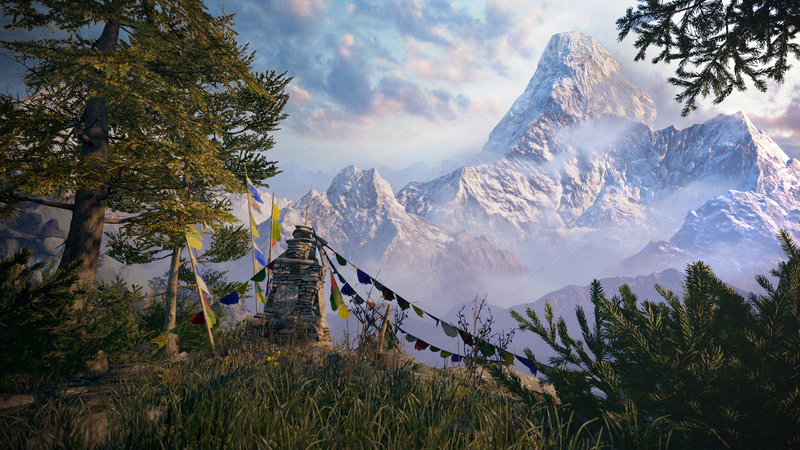 The first thing you should know about are launchers. Launchers are basically the framework for the UI for the phone. So different launchers can affect how many apps are in your dock, the spacing of your apps on your screen, etc. The most popular launcher is nova launcher. I use this one too, and I like it the best. But feel free to try out some different ones to see what you like. You can also get some different icon packs too, to affect the look of your device. 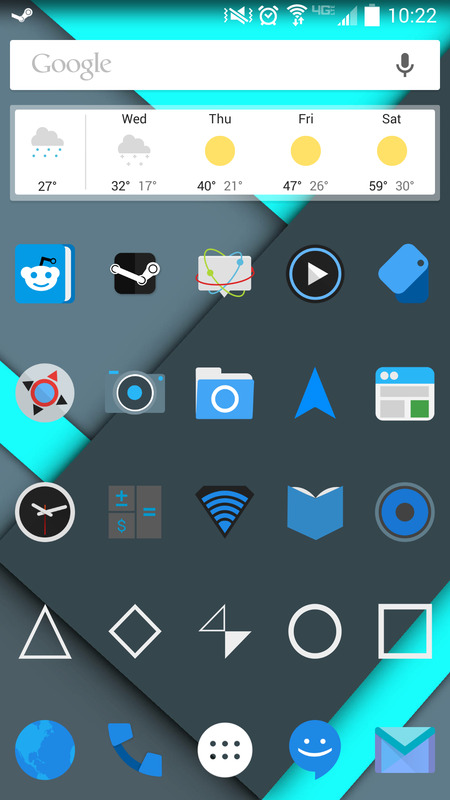 /r/androidthemes has a lot of great inspiration and resources for different icon packs, wallpapers, etc. You can also get different apps for the messaging, camera, etc. A lot of people use hangouts for SMS messaging but another popular one is Textra. It is really clean, highly customizable, and has a great UI. I don't really play too much games, so I couldn't really help you out there, but the sub /r/androidgaming is awesome and you can find a shitload of resources there for that. Also, the sub /r/androidapps is great for finding new apps. I found most of what I use there. And of course /r/android is awesome too. Once you install it, open its settings > Desktop > Desktop grid > Subgrid Positioning. Can also do silly stuff like this pyramid of apps because why not. According to this, you need to enable Google Search otherwise Trebuchet will keep crashing. 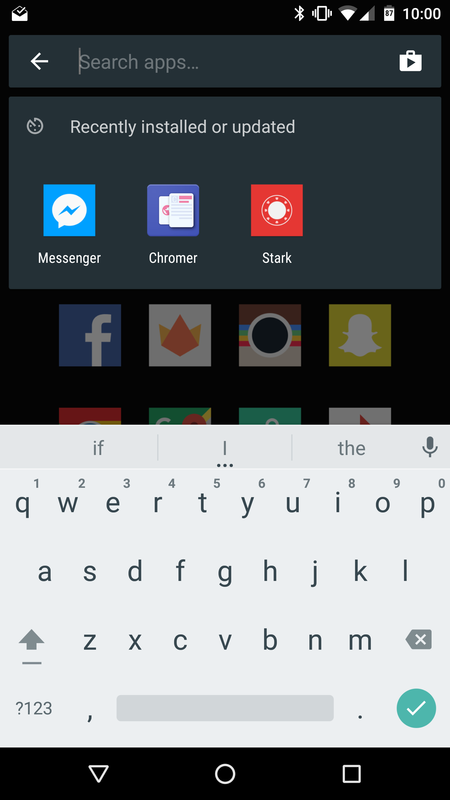 If Google Search is already enabled, then consider switching to Nova Launcher. Well I think the reason I'm able to change mine is due to the Nova Launcher, and all I have to do is long press an app on my screen and hit "Edit". I'm sure there are other ways though. As for iOS, I have no idea. Then, uninstall whichever circle style launcher that is..? You'll likely see the apps name in the aforementioned menu I spoke of above. Loco, aproveché cuando el pro estaba en oferta como a $300 CLP. Mejor inversión. Esta es mi favorita! (maps.me) . if you use a different launcher you can make the app drawer 100% transparent.. something like nova launcher will work. Since you mentioned you use both on the daily, I thought I'd suggest something. Nova Launcher (and others I'm sure) have a great app search functionality. I use it all the time. Here's a screenshot. The free version of Nova Launcher has it too.